The name Hurns Brewing Company might not necessarily be that familiar, however the mention of Tomos Watkin is likely to elicit a much more positive response. The connection between the two is that Hurns beers are sold under the Tomos Watkin brand. 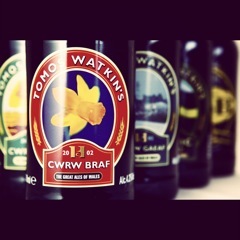 Two of the Tomos Watkin beers won gold and bronze at last year’s Wales True Taste awards but it all started when a brother and sister team bought a brewery from the receiver back in 2002. They already owned a wholesale and delivery company and bought the brewery as ‘a leap of faith’. Having a wholesale company gave them access to distribution and they also had an established sales and marketing team– a good start for any small brewer! But why take on a failed brewery? The answer in a word is passion. They are passionate about Wales and its food and drink, firmly believing that our food and drink can stand shoulder to shoulder with the best in the world. They felt that Welsh beer should also have the highest recognition for its quality and that Wales deserved a great beer which was a ‘handmade and artisan product’ – Tomos Watkin was born. Since 2002 the company and its brands have grown to such an extent that they now have worldwide contracts. 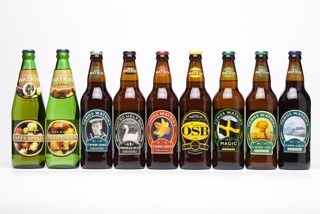 A recent investment has seen a six-figure sum spent on a new bottling and packaging plant shows confidence in the future and their beers are beginning to see more distribution within Wales and the UK, for example, the London brewer Fuller’s have just taken on their beers. Their branding is clearly Welsh and the Welsh language is prominent. They brew a wide variety of ales in cask, keg and bottle and they also have a great range of seasonal beers and a cider. I will cover the prize winning ales in a future post but, for now, it’s great to see another Welsh brewing success story. This entry was posted on 26/06/2013 at 21:05 and is filed under Beer, Producer Profile. You can follow any responses to this entry through the RSS 2.0 feed. You can leave a response, or trackback from your own site.